For more information, please click here! To pre-register, click here! REACH’s Spring Open House is March 24th! Not So Silent Night is coming Saturday, Dec 9th! 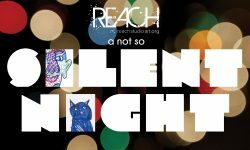 Join REACH for food, fun, and friends during our annual fundraiser, A Not So Silent Night! Find out more about the event here! 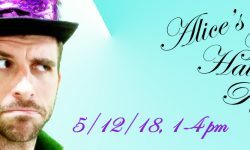 To purchase tickets, click here! The End of Summer Art Show is almost here! 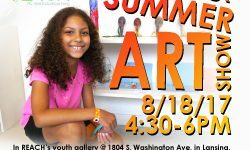 Join us on August 18th at REACH Studio Art Center for our End of Summer Art Show! Come see art that students have made throughout the summer during our seven weeks of summer camp. Starts at 4:30pm and goes until 6:00pm.